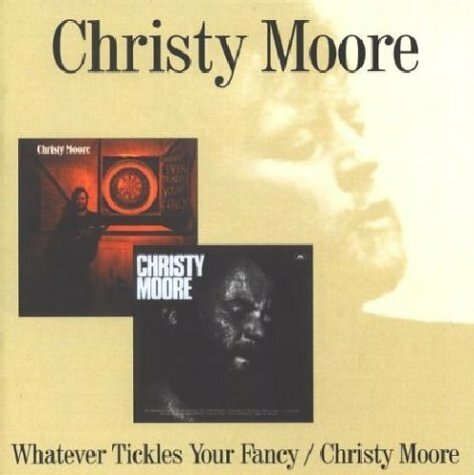 Download "Christy Moore - Little Musgrave" for FREE!!! Musgrave to the church did go to see fine ladies there. Then in came Lord Barnard's wife the fairest among them all. Said Musgrave unto himself this lady's heart I've won. "I have loved you Fair Lady full long and many's the day." "And I have loved you Little Musgrave and never a word did say. I'll take you back there with me and lie in your arms all night." "Although I am a lady's page I am Lord Barnard's man. My Lord Barnard shall hear of this whether I sink or swim." And every where the bridge was broken he'd enter the water and swim. But Musgrave is at Bucklesfordberry asleep with your wedded wife." All the gold in Bucklesfordberry I gladly will give to thee. From the highest tree in Bucklesfordberry hanged you will be. Go saddle me the black!" he said, "Go saddle me the grey! Sound you not your horns," he said, "lest our coming it betray!" He blew his horn both loud and shrill. Away Musgrave, away! I think I hear Lord Barnard's men, I wish I was away." it's nothing but a shepherd lad a bringing his flock to fold. Is not your hawk upon its perch? Your steed eats oats and hay. You a woman in your arms, why would you go away?" So they turned around and they kissed twice and then they fell asleep. When they awoke Lord Barnard's men were standing at their feet. "How do you like my bed?" he said, "and how do you like my sheets? How do you like my fair Lady that lies in your arms asleep?" "It's well I like your bed he said. Great it gives me pain. I'd gladly give a hundred pounds to be on yonder plain!" "Rise up rise up, Little Musgrave, rise up and then put on. It'll not be said in this country I slayed a naked man." Slowly he went down the stairs thinking he'd be slain. You can take the best of them and I will take the worst." But the next stroke Lord Barnard struck Little Musgrave ne'er struck more. "Although you're dead Little Musgrave, still for you I'll pray." "How do you like his cheeks?" he said, "How do you like his chin? How do you like his dead body now there's no life within?" "It's well I like those cheeks she cried and well I love that chin. It's more I want that dead body than all your kith and kin!" He's taken out his long, long sword to strike the mortal blow. Through and through the Lady's heart the cold steel it did go. "A grave! A grave!" Lord Barnard cried, "to put these lovers in! With my lady on the upper hand, for she came from better kin. And I've just killed the finest woman that ever did a woman's deed!" That Musgrave to the church did go to see fine ladies there.